• Bosnia and Herzegovina came from behind with two Tomo Bevanda goals to defeat 2014 qualifiers the Netherlands 2-1. • The 2014 runners-up Russia saw off Latvia 5-0. • Spain, whose nine-year reign as champions ended in Antwerp in 2014, comfortably defeated main round newcomers Switzerland 9-1, the scoreline kept down by goalkeeper Mischa Felber. Lin registered a hat-trick. • Cheered on by 2,500 fans, hosts FYR Macedonia drew 3-3 with Hungary having taken a commanding 2-0 lead at half-time courtesy of the left foot of Martin Todorvski. Hungary drew level through János Trencsényi and Ádám Hosszú, and although Adrijan Micevski restored FYR Macedonia's advantage with a fantastic free-kick, Ferid Agushi put through his own net a minute from time. • Holders Italy were kept out by Finland for more than 24 minutes befoe the Azzurri struck two quick goals and went on to win 4-0. • Hosts Poland drew 0-0 with Belarus. • Ukraine overcame Denmark 5-2. Kevin Jørgensen scored a fine goal for Denmark in their first match at this stage. • Home side Azerbaijan defeated 2014 finals hosts Belgium 3-1. Tino Perez's Azerbajian did ease up in the second half, but goalkeeper Laercio Buranello repelled all Belgium's attacks until conceding a late consolation. • Hosts Slovenia, three up by the break, beat Norway 4-0. Kristjan Čujec's spectacular shot off the bar concluded the scoring. • The Czech Republic were made to sweat in the final minutes before edging France 5-3. The first half had been equal after both sides hit the upright within ten seconds. Crucially, Michal Seidler volleyed the opener with the last Czech attack of the opening 20 minutes. • Slovakia defeated Armenia 7-1, not looking back after going three up in little more than two minues. Tomáš Drahovský and Gabriel Rick struck hat-tricks. • Eight Croatia scorers and an own goal gave the home side a 10-0 victory against 2012 qualifiers Turkey. Star man Dario Marinović was the only player to get two. • Ricardinho scored twice in Portugal's 7-0 defeat of Georgia as he and Cardinal excelled for the 2014 semi-finalists. • Hosts Romania were pushed hard in a 6-4 defeat of Kazakhstan. László Szőcs set Romania on his way with a spectacular opener and his hat-trick proved decisive, his third making it 5-4 after a fine Kazakhstan comeback. • Games continue on Thursday and Saturday. 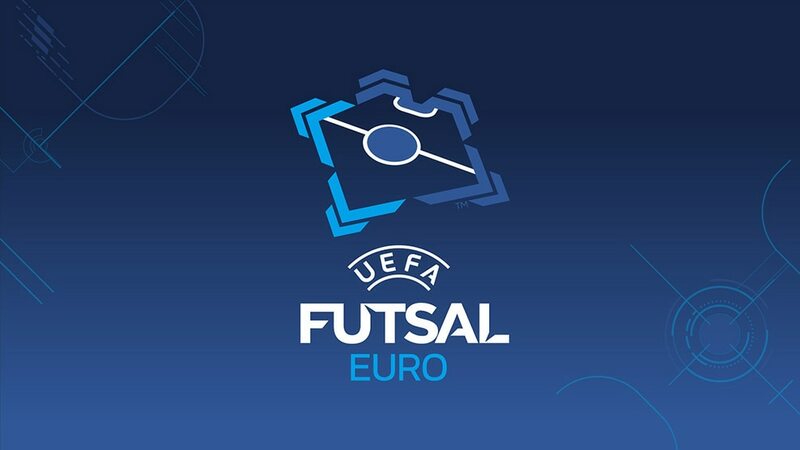 Coach Vasil Skenderovski reckons FYR Macedonia can "make history" by qualifying for UEFA Futsal EURO 2016 as they host main round Group 2 from Wednesday.